resident in Budleigh Salterton since 2001, has had his clarinet playing described by the International Clarinet Association Journal as possessing a ‘beautiful tone & technical authority’. Sir James Galway, doyen of the flute, knocked him for six with the comment ‘I listened to the recording of your concert all day.’ If Kevin has one greatest love on clarinet it’s to make a warm, dark and full sound – the kind of sound that attracted him to learning concertos by ear when he took it up aged 10, through hearing radio broadcasts and listening obsessively to tape recordings of the principal clarinettist of the LSO with his rich, distinctive sound – Jack Brymer. His solo recital playing has taken him around much of the UK, and as far afield as Canada, with various artists accompanying him on piano, such as well-established players Nigel Clayton, John Lenehan, Evelina Puzaite, Karen Evans, Luis Pares and – presently – Jonathan Delbridge FRSM. Kevin is on the Wurlitzer clarinets website’s artists page alongside some very illustrious players including members of the Berlin Philharmonic, one of whom Kevin has been fortunate enough to meet and play with in a consultation meeting. He chooses the German clarinets for the dark, woody quality he can get out of them – perhaps akin to the great sound the top British players of yesteryear got on their magnificent wide-bored Boosey and Hawkes clarinets. Kevin has a degree in music from the University of York and completed a one year post-graduate course, shortly afterwards, at the RNCM where he studied advanced performance with a principal clarinettist from one of the fine BBC orchestras, as funded by a Countess of Munster Scholarship. Coming full circle perhaps, this audition panel was chaired by the great clarinettist Jack Brymer. 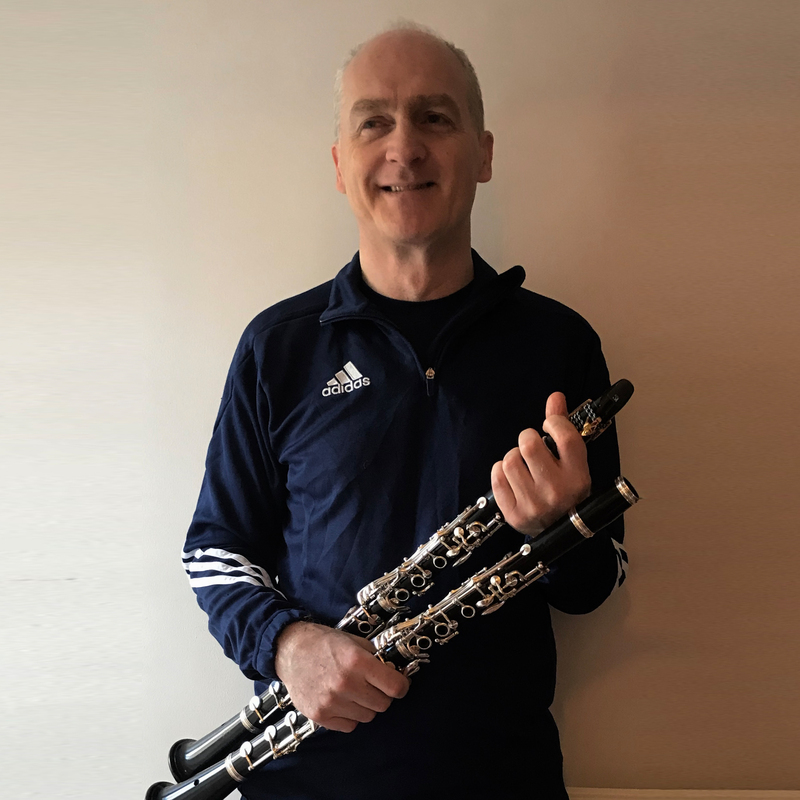 Kevin mixes his activities on clarinet with teaching a large number of mainly piano pupils and has a highly loyal clientele working through the ABRSM grades and beyond. He is always open to requests to join his merry band of pupils – of all ages and all standards on piano, and ideally grade 8+ on clarinet unless an outstanding prospect still at school, or aiming for one of the diplomas or to join one of the several local concert bands. Kevin has coached county wind ensemble sectional rehearsals at residential courses in Bucks. Turning to the piano, Kevin has accompanied for all grading levels of the ABRSM exams, has a rigorous approach to teaching proper technique and apposite expression which sits naturally within its context, and has a deep love of this – his favourite musical instrument. As a young musician he particularly benefitted from many enjoyable experiences standing in for regular adult piano accompanists at amateur operatic society rehearsals in Bucks. During this time, Kevin also enjoyed his time as school organist at his small grammar school in Marlow, where he also got to accompany the school choir on the harpsichord. He is on the instrument teaching panel at the University of Exeter, on the extras list of the BSO, conducts the East Devon Clarinet Choir and is currently battling to find time to embrace his exciting maths degree with the Open University. Previous work has seen Kevin as a civil servant at a busy London HQ, a computer programmer, more recently as a visiting chess coach in five East Devon primary schools and shortly after leaving university as assistant tennis coach at a leisure centre – his love of tennis staying with him and he plays avidly with a great appetite to improve.